We offer a wide array of Fiber Glass Poles. We ensure high quality raw materials are used in the production of Fiber Glass Lighting Poles. Highly skilled technicians employed by the company ensure that these poles are verified for quality before dispatched in the markets. Our company specializes in manufacturing, supplying, importing and exporting a qualitative range of GRP Pole. 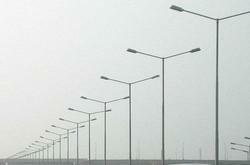 We are offering FRP Lamp Pole. Matching up with the requirements of our clients, we are involved in offering Fiberglass Flag Pole. Sumip fiberglass light poles are constructed of Polyester/Epoxy resin systems & fiberglass woven rowing with more than 65% of the reinforcing fiberglass in the axial vertical plane which increases desired rigidity & axial strength. In this design heavy duty Hot deep Galvanized Mild steel base / High grade aluminum casting base is bonded fiberglass shaft & the base is with polyurethane coat to match pole color. We are offering a comprehensive assortment of GRP Poles. These are manufactured from high grade of metal scraps and material by using advance machines by our vendors. These have excellent electrical properties (no grounding is required) and high mechanical characteristics. We offer these at market leading prices. 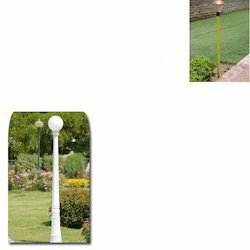 We are offering wide range of fiberglass poles. We are manufucrer of FRP/GRP Poles up to 14 Mtr.